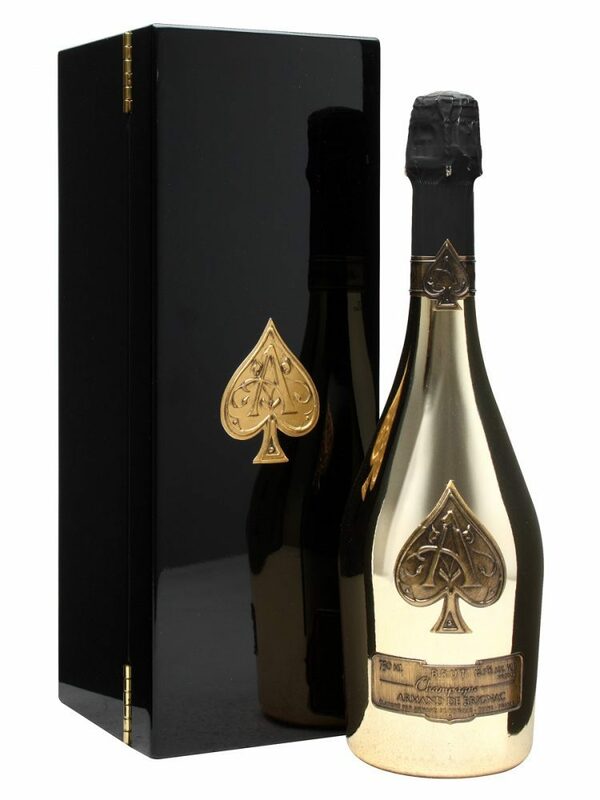 Armand de Brignac Brut Gold – the flagship cuvee – is a singular example of the Brut Champagne tradition. 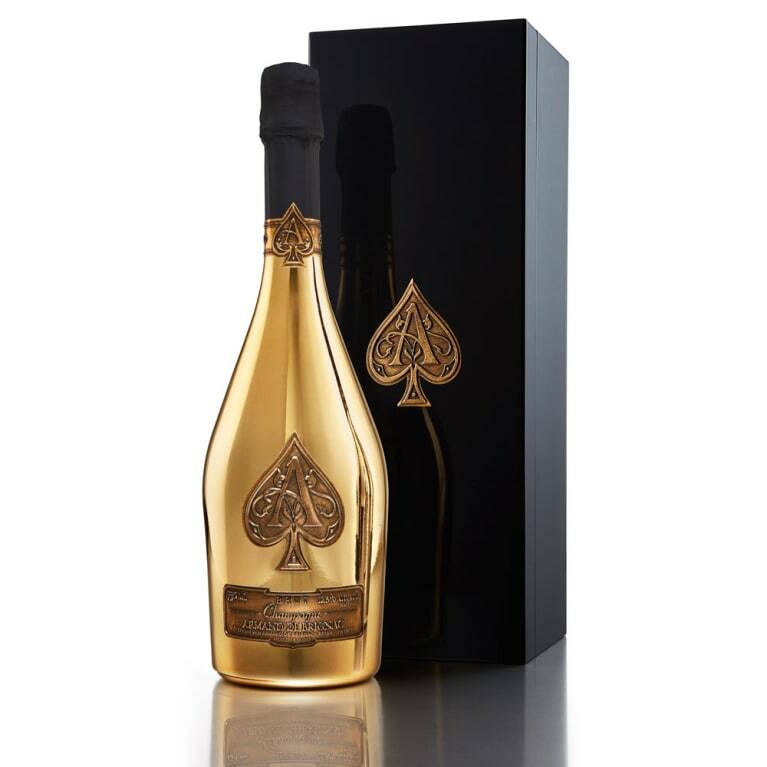 Marvelously complex and full-bodied, its bouquet is both fresh and lively, with light floral notes. 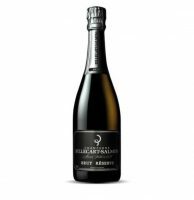 On the palate, the Brut Gold has a sumptuous, racy fruit character perfectly integrated with the wine’s subtle brioche accents. The Champagne’s texture is deliciously creamy, with great depth paired with a long, silky finish. The Brut Gold is pressed from a perfectly balanced blend of Chardonnay, Pinot Noir, and Pinot Meunier wine.